You’ll first notice it when you send someone an email and it bounces right back. 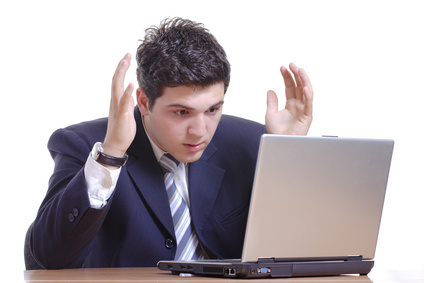 There are several reasons why an email is rejected from a mail server. The most common is an incorrect send to email address. The next most common is the mailbox full rejection. Of all email rejections the most devastating is the blacklist email rejection. This is when the receiving email server sends you a bounce message stating your message has been rejected due to spam violations. The first thing to realize is that the rejection is real. What it is telling you is your mail server’s IP address is listed on a black list. It got listed because there is spam flowing through your mail server. The spam is not from you necessarily. But someone has breached your server’s defenses and is actively pouring spam through your server. On my mail server the black list I use is Spam Cop. There is a setting on the email server for black lists. I have mine set to Spam Cop. As a mail administrator you can check incoming mail against several black lists. The two most feared black lists in the industry are the Barracuda black list and Cisco’s sender score. Black listing sites are a business too. There has been a proliferation of these sites. There are about 200 email black list sites now. Your server can be persona-non-grata if you get on just one of them. Keeping a mail server off black lists has become a full time job. The best way to keep a mail server clean is to not get on the lists in the first place. Email black lists are extremely sensitive. They will pick your server up immediately when there’s a breach. Spammers are on constant search of email servers to use for this very reason. Spammers can’t use their email servers because they’d be black listed right away. They can’t rotate IPs either because black lists are wise to this. The only way spammers can keep spamming is to use someone else’s email server. The are devious, cunning, and intelligent when it comes to sending spam through other people’s email servers. The first thing to realize is getting an email server black listed isn’t a random act. Spammers are motivated to use your server. It’s how they make their money. As far as I know there isn’t any deterrent to keep them from using your server. The black listing sites don’t have any motivation to deter them either. Black listing sites punish the owner of the email server, not the spammer. The spammer operates with complete impunity. The first step toward getting off the black list is to realize some is wrong. If you’re on a black list your server is sending out spam. Denial doesn’t help. Take ownership of the problem because unfortunately it is your problem. The next step is to forget about rotating your IP or any of this nonsense. You can’t do it. The black listing site didn’t make a mistake. There is spam going on. You can bet on it. The final step is to face facts, realize there is a problem, and stop the breach. This is done by examining charts, reading logs, and determining how they got in. Most of the time spam is caused by a compromised account. Someone has the username (email address) and the password. You’ve got to find whom and shut them off. Most of the time the breach is caused by a weak password. I recommend using a password generator for email. Users always set weak password if you leave it up to them. Staying off email black lists is a war. Spammers are kidding around. These are professionals that scan servers constantly for weakness. When they find one they exploit it. Sometimes they’ll meter spam in slowly, like 500 emails in the middle of the night. Other times they’ll send as much mail as possible, essentially drowning your server with so much mail it’s like a denial of service attack. The enemy is formidable and there is nothing to stop them. Black list rejections can work against you when you’re on the receiving side too. I have a situation right now where a client is complaining that her client can’t mail to her. She says when they send her an email it gets rejected. Upon closer inspection it shows that our mail server is rejecting them because they are listed on Spam Cop. What this means is someone has breached their mail server and is sending spam though it. They’ve been picked up on black lists and that why their email isn’t working properly. They’re in trouble on their side. My client doesn’t know that. Nor do they care. All they no is the email isn’t working. So now it’s up to me to explain to my client that HER client is using a black listed mail server. If she’s opted out of the Spam Cop filter she’s subjecting her email to spam from everywhere. The real solution to the problem is to have my client contact her client to tell her email service their email server is black listed. Spam is a hassle for the end user however it’s catastrophic for the email administrator. Sites that offer lists for black listed servers are businesses too. They are not interested in being fair to the email administrator. I’ve seen instances were it’s taken weeks to get off their list. They almost never have phone numbers. They are automated systems. The most aggressive black lists don’t have a delisting process. Black listing sites can ruin an email server and they don’t even know you exist. The key to staying off blacklisted email sites is to run a squeaky-clean mail server. I always use a password generator to create email passwords. I never leave password creation up to the users. Random eight character passwords seem to work well. Anything that a person makes up is weak. You’d be surprised how quickly spammers can get a hold of a password you thought was strong. If you do get put on a black list take it seriously. I dislike black lists but I have to admit that most of the time there is a real basis for being put on the list. At first there is denial followed by the realization that something really is wrong. Blacklists are sensitive. They can detect as little as a few rouge emails. Spammers are clever. They often send spam through your server in the middle of the night in small enough batches to go undetected. All of this adds up to an extremely difficult situation for the mail administrator. If you have an administrator that keeps your mail flowing by staying off black lists, stick with them. They have their hands full on both sides –the vigilante lists and the spammers. Neither the vigilante service, spammer sending the spam, or the company advertising using spam is held responsible. It’s the innocent mail administrator that gets hurt. It’s a tough world out there. Nowhere is it as tough as the email world. It’s your administrator that keeps you out of this mess.